In case you’ve never seen any wildlife documentaries, the Land Rover Discovery is the go to vehicle for wildlife videographers. It’s also a very popular vehicle among successful people. 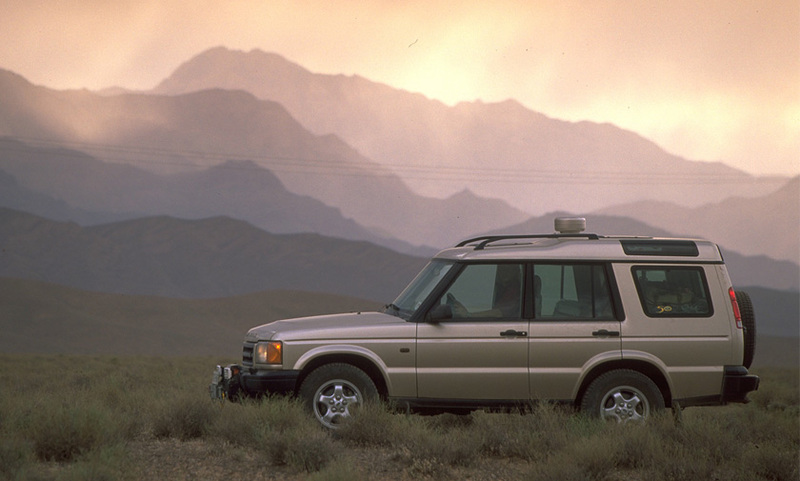 Why do outdoorsmen and the wealthy love the Land Rover Discovery II? There are tons of things that make the Discovery II special. Here are 8 reasons to buy a Discovery II today. 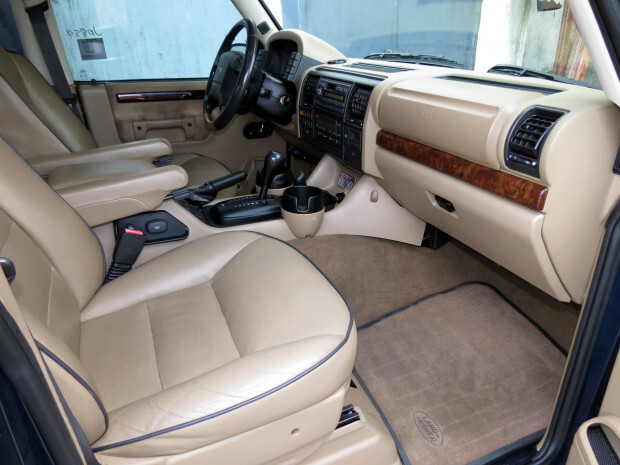 The leather in the Discovery II is a super high quality and very soft leather. It covers the seats, door panels, dashboard, and basically everything. Land Rover went as far as adding Kangaroo leather to the door panels. Kangaroo leather is a very soft, and subtle material. Land Rover added it right where you rest your arm on the door, putting your elbow in heaven as you drive. What other vehicle can you brag to your friends about having Kangaroo leather inside of it? The Land Rover Discovery II has what is called “Stadium Seating”, which means the rear seats are elevated. This gives the rear passengers excellent visibility, and allows them to see over the front occupants so everyone can complain about your driving at once. Since the rear seats are elevated, that means their headroom goes down. But, Land Rover has solved this problem by elevating the roof from the rear seats back by a few inches. You can clearly see the raised roof from the outside of the vehicle. 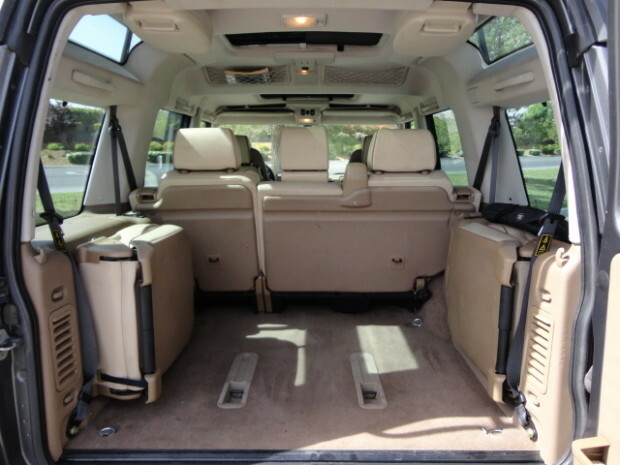 The back seats in the Discovery II are probably some of the most comfortable rear SUV seats you’ll ever sit in. The optional Harman/Kardon sound system is truly amazing for any automobile at that time. It includes no less than 12 speakers, which are scattered about to provide optimal sound for all passengers. The 12 speakers are powered by a 320 watt amplifier, along with an amplified subwoofer. All of this put together adds up to a near jaw dropping factory sound system. Seriously, the optional sound system in the Discovery II is amazing, especially for a vehicle of its age. Say you own a family of 7, well Land Rover has you covered. 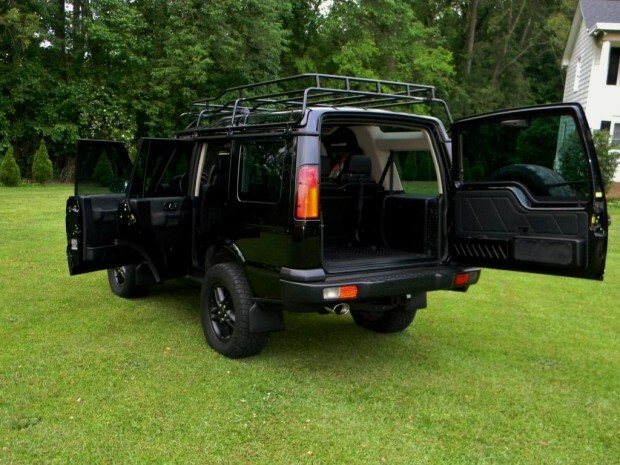 The SE7 optioned Discovery II has rear jumper seats, which fold up to give full trunk room. They’re actually big enough to fit a full grown adult. The Discovery I had a similar design, but the jumper seats faced each other, instead of facing the front of the vehicle. The design in the Discovery I looked a little cooler, but couldn’t really fit full size adults. Even little details like glass headlights, dual sunroofs, and rear climate control, they all add up to a vehicle with build quality that is better than most cars of today (2015). 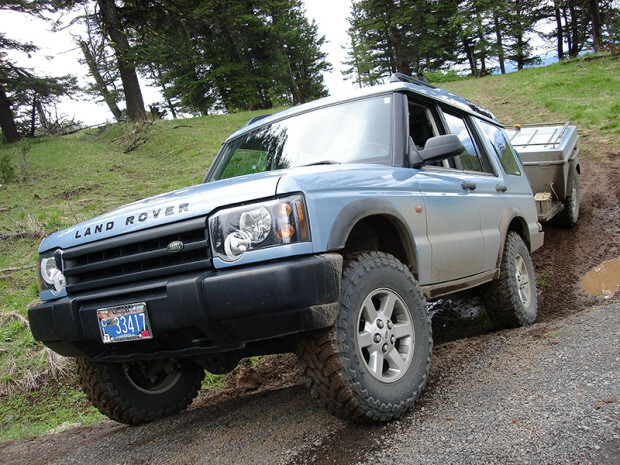 Quite honestly the Discovery II has a better build quality than any other off-road vehicle of the time. When the Discovery I was out, the biggest complaint was its handling, Land Rover customers wanted an SUV that handled like a sports car. Well, they listened, and when they launched the Discovery II one of the options was the ACE (Active Cornering Enhancement) system. RELATED: Land Rover vs Range Rover: What is the Difference? What the ACE system does, is stop the body from rolling so much. It uses a hydraulic pump, which is driven by the serpentine belt, and a hydraulic ram attached to the front and rear sway bars. If you turn either direction, the hydraulic rams push the sway bars the opposite direction, and keeps the vehicle flat in a corner. It also completely disengages at very low speeds, which allows more articulation from the front and rear to help with off-roading. The Discovery II has air suspension equipped in the rear, and was the first SUV ever to have air suspension of any kind. This allows it ride extremely smooth, and also helps with off-roading because it can lift up the rear of the vehicle 1.6 inches. This system is also self leveling, so if you have a lot of cargo or are towing something heavy, it’ll automatically level out the vehicle for you. Unfortunately the air bags aren’t the most reliable system in the world, and many Discovery IIs now have coil spring suspension in the rear. Of course, the heart of any Land Rover is its off-road abilities, that’s the main reason it’s a safari vehicle after all. Features like the hill descent control, and traction control help you get anywhere you want safely. The center diff lock allows you to turn all-wheel-drive into four-wheel-drive, and locks power output to 50/50. RELATED: Land Rover vs Jeep: Which One is Actually Better? Don’t get me wrong, the Discovery II isn’t the most perfect vehicle ever. But, for what you’re paying, you’re getting a lot of features that most brand new cars don’t even have. From interior quality and features, to groundbreaking suspension components, and off road durability. Nothing beats a Discovery II when it comes to quality and luxury, especially for less than $8k. I purchased a new DII back in 99. I can say everything that could break on the vehicle broke. While I do agree it had great seats, sound system, and looks. It leaked oil, brake fluid, coolant…you name it. Notorious for head gasket and valley gasket leaks. and of course the 3 amigos which was a failure of the ABS that would produce 3 dash lights. It’s 4 wheel drive system was good for off road and in snow but my Jeep Grand Cherokee Quadra-Drive II was much better. While I wanted to love my Disco II, It became money pit. Not a reliable vehicle. I dearly loved my trusty Disco II. So much so, I dealt with all the additional paperwork to bring it from California when I moved back to Alberta, Canada. What an amazing car in a Canadian winter, and for off roading in the Rockies. Trusty and reliable – in all weather. I never worried taking my Land Rover to very remote locations in the mountains for work. My Disco II was a 2001 model year, and it had 260,000+ kilometres on the ODO when it came to an unfortunate end on the highway – a blown head gasket that I did not want to commit to fixing on a 16 year old vehicle. Like Alex notes above, my Disco II also suffered from the three amigos once, but that was just from dirty sensors – I simply had those reset at my mechanic’s garage. A 16 year old engine will leak – but that’s expected. I had no other major issues except a constantly cracked windshield from the gravel on the highways being kicked up onto that big flat piece of glass – ugh. My only real complaint with the Disco II was the atrocious fuel mileage. One could almost watch the needle going down on the petrol gauge. Lugging around full time 4×4 has a price – and that’s the cost of fuel. Unless you have a very trusted mechanic or are able to do your own work, I would not recommend a Disco II now. They were solid cars, but they are showing their age and any for sale now will have a lot of mileage and use (and are overpriced from what I’ve seen). If you really, really have to have one – don’t go past 2001. That was the last model year to retain the second High/Low 4×4 shifter in the North American models. This feature is highly sought after by 4×4 enthusiasts. The equipment is there on later models, but the shifter was removed because the North American market apparently never used the feature. I also owned a Jeep Cherokee – it was lightweight and felt flimsy compared to the solid, sturdy and well mannered Disco II. Long reign Land Rover! They actually brought the CDL back in 2004, making the 2003 models the only ones lacking the “shifter”. I use quotations as the system was actually still in place and could be easily modified to support the CDL shifter on the 2003 as well (although it would be a little short-sighted unless you were really doing some serious off-roading/boulder crawling, as the traction control on the 2003 model is awesome. However, I do still agree with the recommendation of a 2001 or previous model. The reason being that the tooling was so far warn towards the end, that the 2003 and 2004 4.6 models were/are prone to catastrophic engine failures due to slipped valve liners and a ill-placed head bolt (they basically bored out the buick 4.0 V8 for the 4.6, leaving little material between the bolt hole and the water jacket. If the bolt was over torqued a small crack would form allowing coolant to mix with the oil and or escape through the exhaust valves causing the engine to overheat. A huge no-no for an aluminum block engine). That being said, if you really like the upgraded face-lift on the 2003/2004 models, I suggest banking 3-4k in a rainy day fund for an earlier Range Rover 4.6 with low miles to swap in. 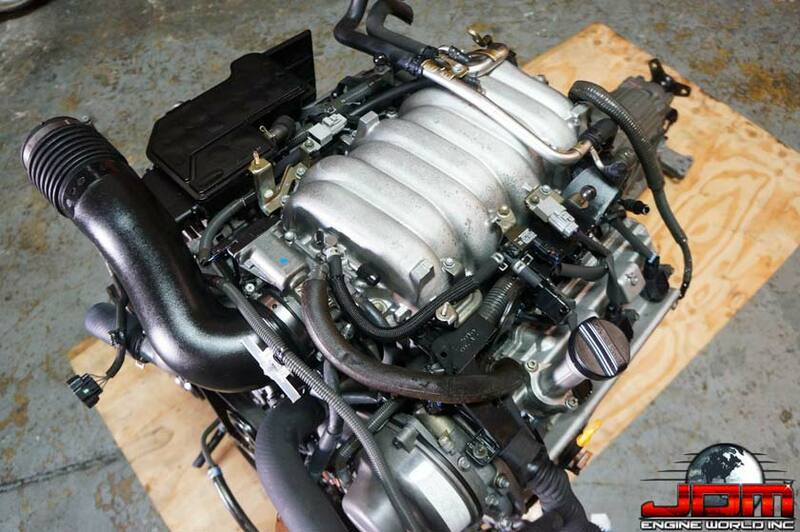 Or, you can spend 10k on an aftermarket re-engineered motor addressing both the slipped liner and head bolt issues. 2002 was the only model year CDL was not offered on a D2. The other model years had CDL components in the transfer case but may not have had the linkage installed to enable it. I have an ’02 and was told the only way I could get it was to swap the transfer case. Haven’t had a need for it yet and I have had it off road in some pretty extreme conditions. My husband and I absolutely adored our Land Rover when we had it. We used to drive it through rural England and I’d take the beagles for a walk whilst he’d hunt for pheasants. It was wonderful! Unfortunately the Land Rover was written off when we were in a road traffic collision – after much consideration we decided we’d go for something much smaller, as we didn’t have the need for such a big vehicle once my daughter Priscilla had gone travelling and Dominic had gone off to Canterbury University. However, when we go on weekend excursions and mini breaks we’re sure to hire a Land Rover as it fits all we need and is just wonderful to drive! A truly wonderful car. I love land rovers but wow this is a lot of completely wrong information. The axles are about as weak as a Dana 35 which was used in mid size suvs, not even a 1/2 ton truck let alone a 3/4 ton. It’s suspension is well designed but not “beefy” by any means. It was not the first SUV to use air suspension, which was also so problematic that kits are offered to replace it with standard coil springs. 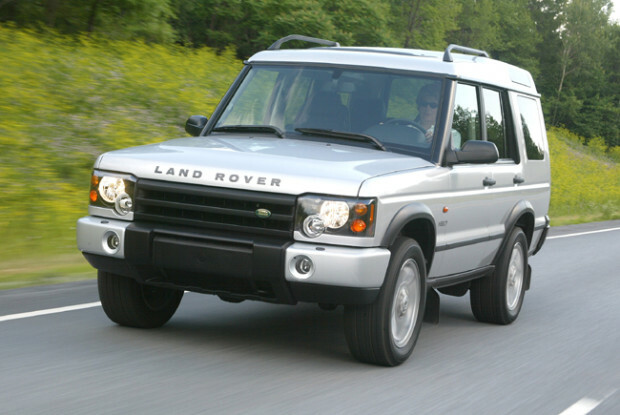 The center diff lock that is discussed was only offered in 2004 for the discovery 2. The build quality was terrible. The engine blocks were cast with worn out tooling, the electronics are poorly built with constantly failing parts, they had a lot of great ideas with poor execution. I love the discoverys but if you are not mechanically inclined then this is not a good vehicle for you, a lot of shops won’t even touch these land rovers when it comes to engine/driveline repair or diagnostic work. 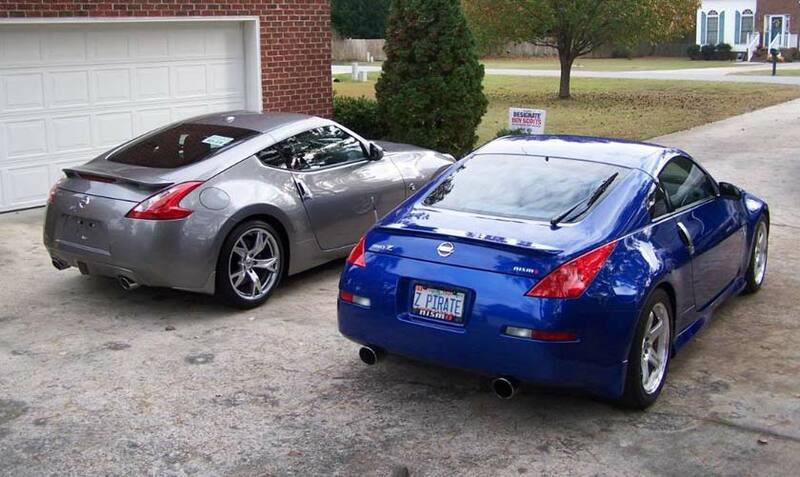 Our TD5 was my wife’s all-time favorite car … and my least favorite. I still have re-occurring nightmares about all stupid things that went wrong with it and what it took to keep it going. Clearly it was designed by a group of half-baked English engineers who didn’t discuss how everything would fit together until it was already done. Nothing was easy to access and everything was in stupid places. The oil filter sat behind the turbo charger … which had a galvanized steel heat cover that was mounted to the cast iron manifold with galvanized screws. The screws would rust and bind into the manifold … requiring them to be drilled out. THEN once you could access the oil filter, you would burn your hands getting to it (because everyone knows oil temp should be warm before changing) … AND then you would have to tip the filter to get it out, which would pour oil down the side of the engine. Brilliant! Then there was the wiring harness for the injectors … which some brilliant engineer thought would be great under the valve cover. The insulation on the wire would deteriorate from the oil and heat, allowing the oil to pump in a capillary action between the wire and the insulation until it flooded the back of the plug at the ECU causing a misfire. Luckily, I discovered our issue BEFORE it fried the ECU. Others are not so lucky. Then there is the fuel pressure regulator that gets a split in the diaphragm and fails. Getting to that requires double-jointed arms and the ability to dislocate one’s shoulder. Then because everything is so sharp in the general area, you end up looking like you have been juggling two feral cats. Oh … and lets not forget that they position the regulator directly above the starter motor … which means it leaks diesel straight down into the starter, resulting in THAT failing too. Shall I go on? Maybe just a bit. There are the wheel sensors that fail. The brake calipers that use propitiatory bolts and cannot be removed by your average do-it-yourself guy. The fuel pump that requires the entire back and side interior trim to be removed for accessing. Oh … and last but not least … the bolt in the oil pump that comes loose and causes a catasrophic engine failure (luckily the Land Rover spare parts shop warned me about that one before it happened). Every one of these vehicles should be put into a great pile and burned in a ceremony to rid the earth of this evil and shameful attempt of motoring. A Land Rover Discovery is a money pit mate. You will get excellent highway driving and the car excels off road, mostly in deep water crossings, deep snow, and hilly forests. But youd better have deep pockets to own this car mate. It requires constant pampering. It’s an extremely expensive vehicle to own. If you’re getting this car because it’s $5,000.00 AUD online and “looks really cool” – you’re in for a hell of a surprise. The engineering is foreign looking. Like that other guy said everything is in wrong places. You gotta take out all kinds of parts for what should be a simple job mate. Then you gotta put it back perfectly or it will F up some other part. Things go wrong on the clunker and nobody can figure it out. So you end up throwing a ton of cash at replacing parts that never needed fixing – and you still can’t fix the problem. Then the mechanic says uuuuuuu sorry uuuuuuu I don’t know whats wrong with her. That’s your risk when you buy this car mate. The car has a “personality” and requires a specialized Land Rover/Aston Martin (another British piece of junk) mechanic for major work and overhauls. And you WILL have major work. All the time. It’s a constant nag. One thing goes wrong after another. The parts are outrageous expensive. You have to install them “just so” with a mechanic that knows Land Rovers inside and out. If you own this car now and don’t have these problems – you got LUCKY. These cars are rapidly ending up in Junkyards because people get them for $5,000 online because they look cool – then cant afford to fix them. Expect the value to increase in the coming years on low mileage perfectly maintained Land Rovers. Also you have to understand – after 100,000.00 miles – your engines days are numbered. It could be sooner, later, or if you’re lucky it might make 200,000.00 miles. But you’re looking at $15,000.00 – $20,000.00 for the CORRECT engine plus labor. At that point most people scrap the truck. You might have better luck with the new Land Rovers but .. the new Land Rovers aint even Land Rovers.. Most of this is right. Alcantara fabric is not from an Alcantsr or Ostrich though. It’s a synthetic suede material from Europe. No exotic animal skins on D2s! Man i need to get in touch with you hahaha ive got an 03 with 141k going strong! no leaks working abs system and clean idle etc done driveshafts and suspension and tires but no other work its about keeping the fluids in these old girls also redoing the cooling system at least once, ive done my radiator t stat and hoses all on my own in my driveway haha easy car to work on as well. AWD vs 4WD: What's The Real Difference?